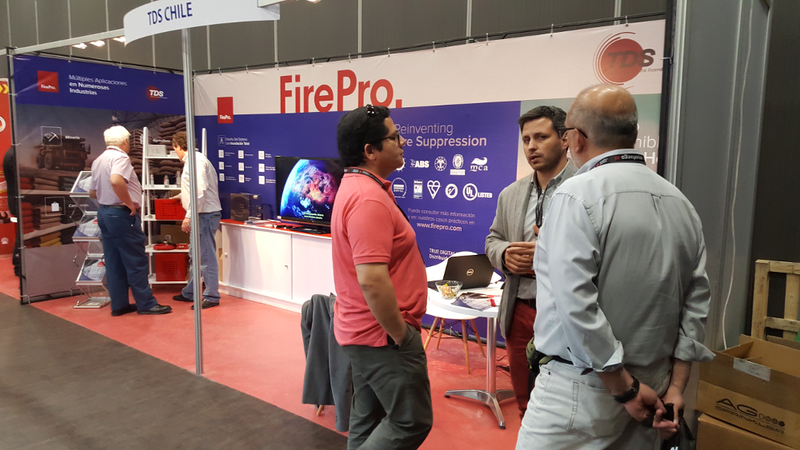 Expofuego Chile is the largest exhibition in Latin America specializing in fire safety. 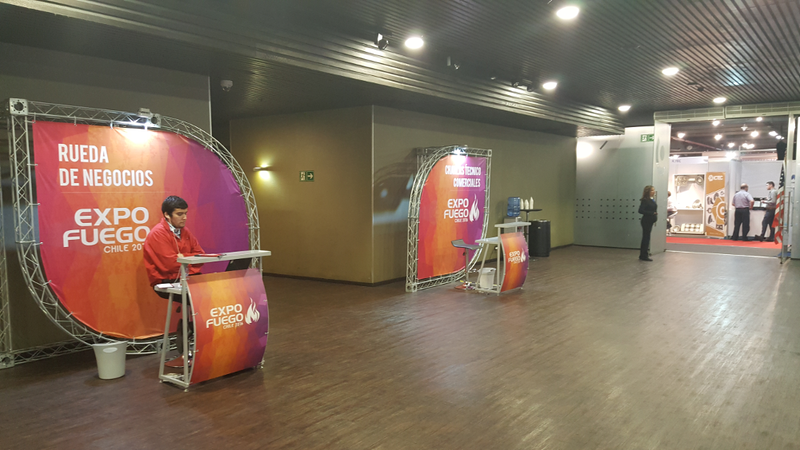 This exhibition gathers the best companies within the sector under one roof. It takes place every two years in Santiago, Chile. 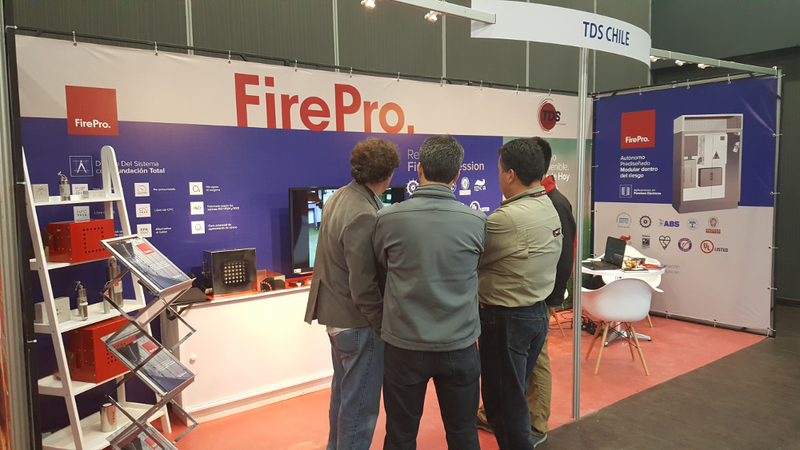 FirePro and TDS, the exclusive distributor of FirePro in Chile, jointly participated in the exhibition between 25th and 27th October 2016. 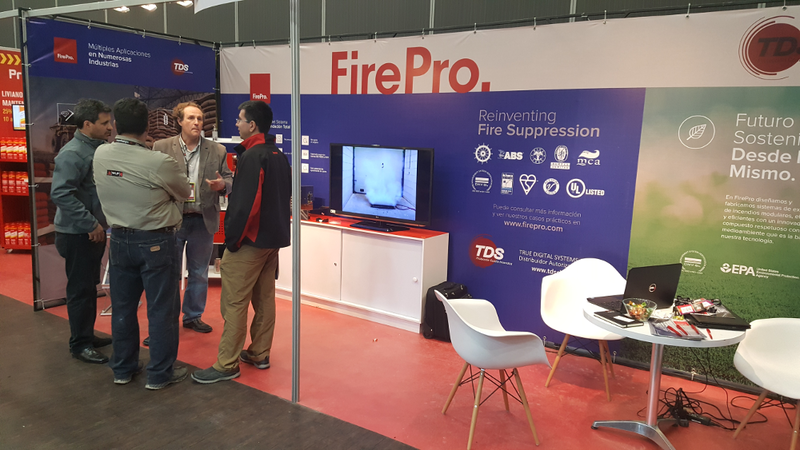 FirePro and TDS contributed with a unique stand design emphasizing sustainability, which made a strong impression with all attendees. 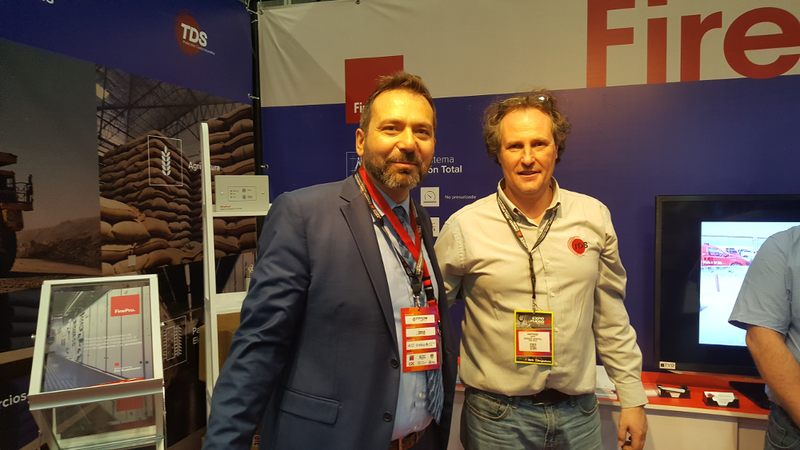 Visitors to our stand included National Fire Brigade Officials, Engineering Consulting Companies Specialists, Construction Companies Project Managers, Several Directors, Health and Safety Engineers, Distributors and potential customers. 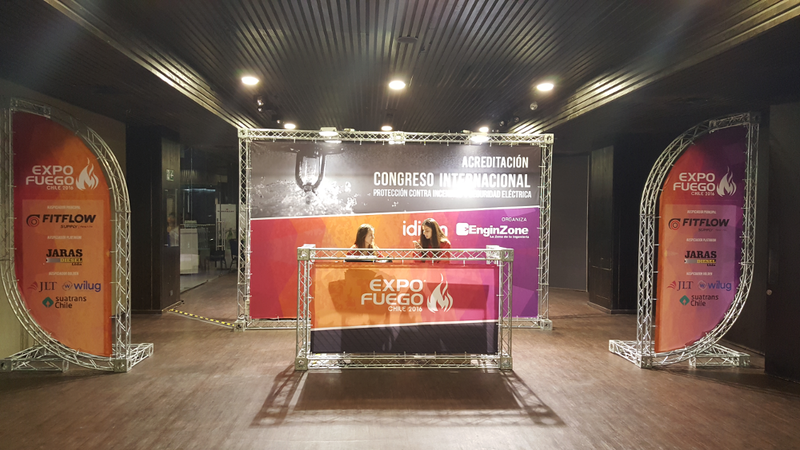 They had the opportunity to learn about our success stories, and the diversified solutions and key advantages offered by FirePro. 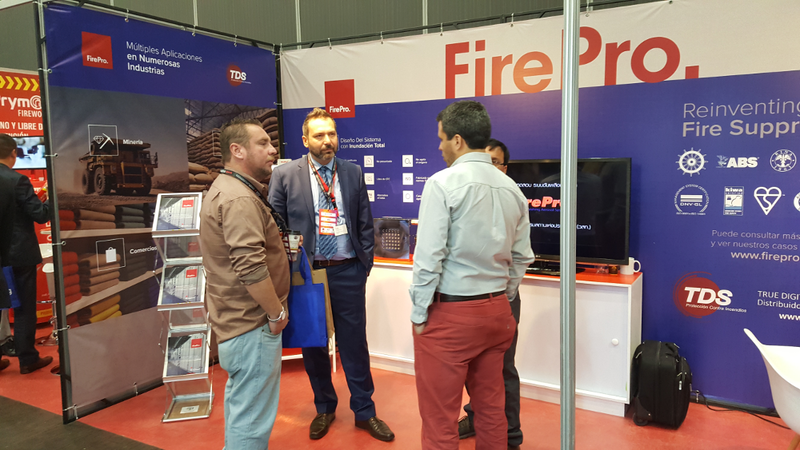 TDS and FirePro are meticulously increasing their market share by constantly penetrating into different segments and actively promoting FirePro products and solutions.